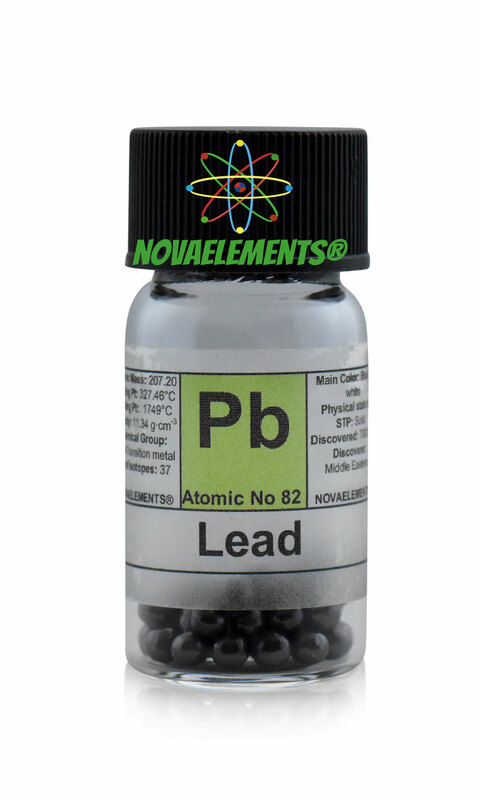 Lead is a metallic element with chemical symbol Pb and atomic number 82. Lead is a solid and silvery white metal at normal pressure and temperature, it is very malleable and you can cut easily with a nippers. It oxidizes in the air making a black film of oxide. Lead is also easy to melt using a bunsen burner, exactly like Tin metal. 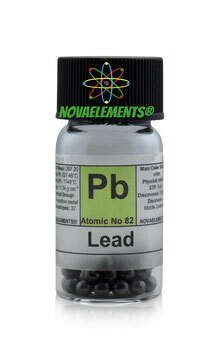 Lead is another heavy metal, it is dangerous, manage only with gloves. 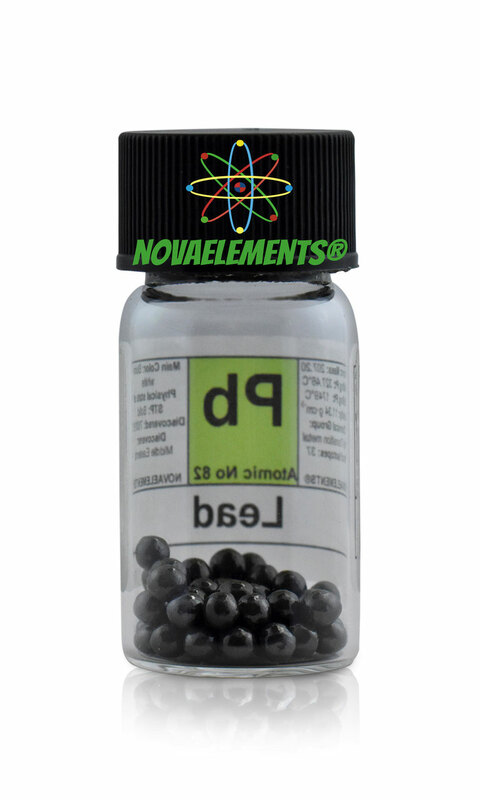 High Purity Lead metal pellets, element 82 sample of 10 grams in glass vial. Very beautiful and shiny pellets. Pure Element 82 sample. High purity Lead metal, shiny chunks cut from an ingot, purity 99,99%, 10 grams sample inside a glass vial. Pure Lead metal ingot sample.